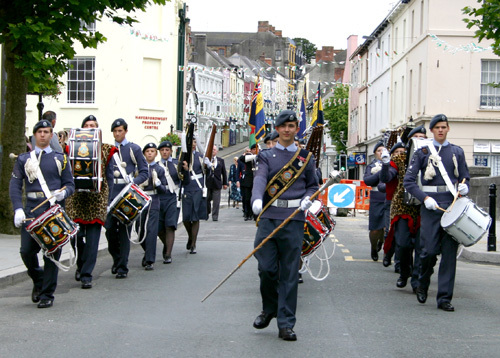 The combined talents of Haverfordwest and Swansea produced an outstanding parade through the crowded streets of Haverfordwest at the Lord Mayors Civic Service & Parade. 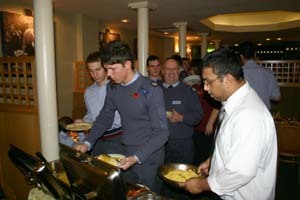 marched together with standard bearers and ceremonial fire fighters etc. 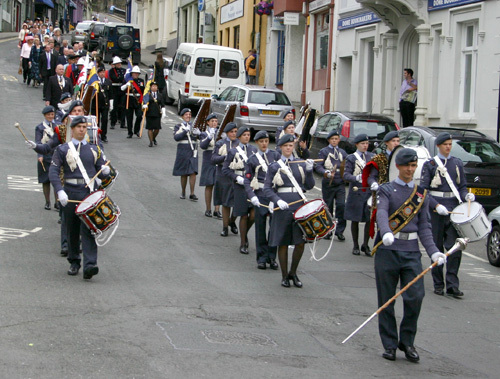 This is the first of five parades that the combined Squadrons will be attending throughout the summer period. 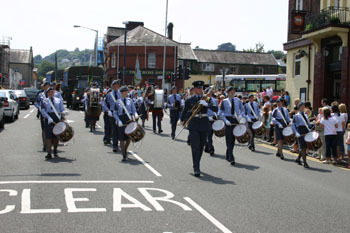 Haverfordwest, Pembroke and Swansea Squadrons formed a superb 36 strong band for the hi profile Morriston Carnival on Saturday 1st July 2006. 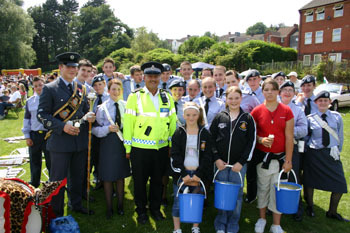 The three Squadrons led the parade and received exemplary reports from the general public and the event organiser Police Constable 871 Hayden Evans. 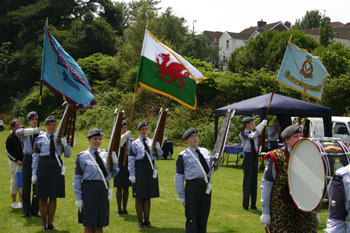 It is hoped that the three Squadrons will amalgamate on a regular basis to boost the image of the Corps throughout South Wales. 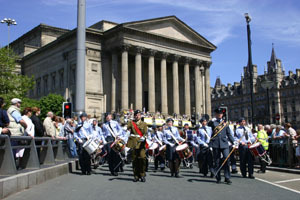 46 Cadets paraded for the combined band and over 70 Cadets paraded for Merseyside Wing in a superb show of strength by the ATC. 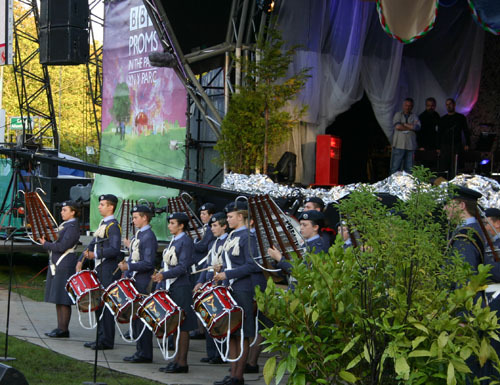 The Squadron Band competed well against strong opposition from No 1 Welsh Wing, No 2 Welsh Wing, Merseyside, West Mercia and Staffordshire, but was eventually pipped into second place in the competition by the excellent band of Barry Squadron, No 1 Welsh Wing. 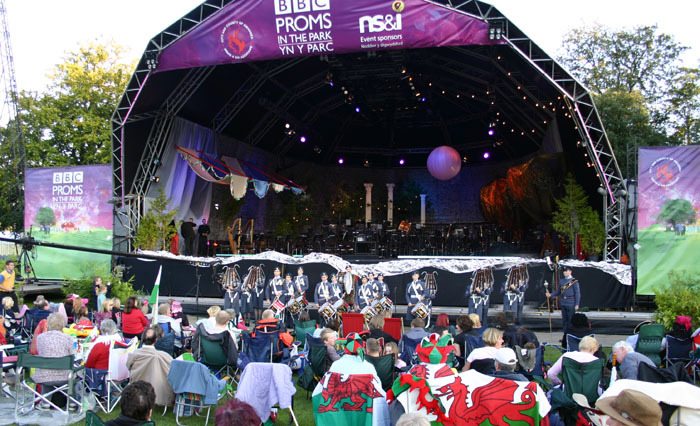 Overall, 215 was placed second in the Best Band, Best Percussion and Best Fanfare Sections in the Region. 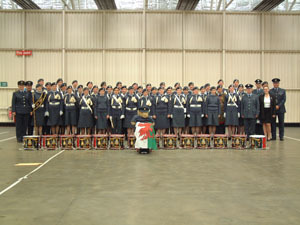 The Squadron was awarded the 'Smartest Band in the Air Training Corps Trophy' for the third consecutive year after competing against bands from the other five Regions at the Military Marching Band Competitions at RAF Halton in October 2003. 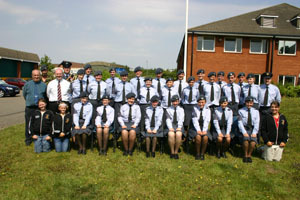 215 Squadron became the first Unit to win the 'Smartest Band In the ATC Trophy' for three consecutive years. 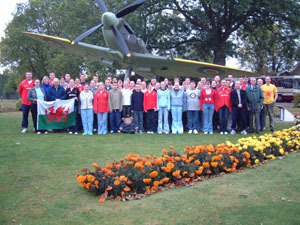 The Squadron also completed a five day affiliated visit to RAF Northolt in preparation for the Championships. 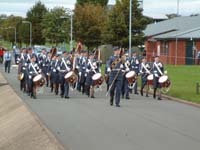 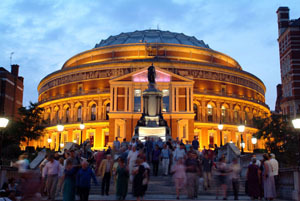 The Squadron attended the Air Training Corps Military Marching Band Championships at RAF Halton in October 2001 for the first time in the Squadron's History. 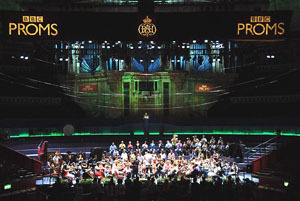 The quality of the bands from the other five Regions was outstanding and 215 finished a credible fourth. 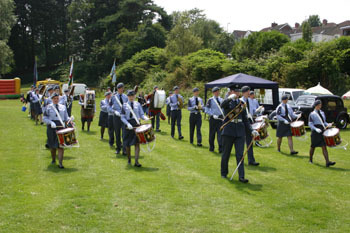 The Squadron did however win the accolade of the 'Smartest Band in the Air Training Corps', which made all the hard work worthwhile. 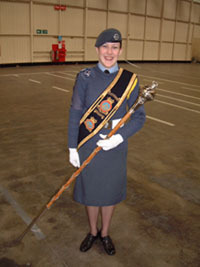 Flight Sergeant Aime Davidson (f) was awarded the coveted Air Training Corps Mace for being the Best Drum Major in the Air Training Corps at the ATC Military Marching Band Championships at RAF Halton in 2001. 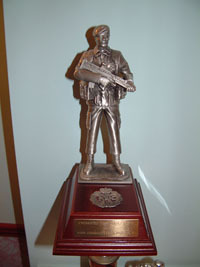 This was the first year that the Squadron Band had ever reached the Corps finals. 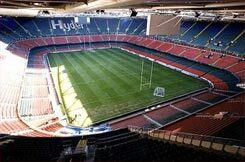 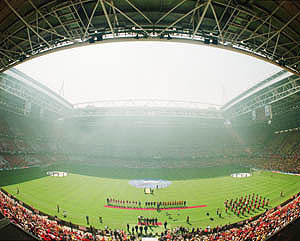 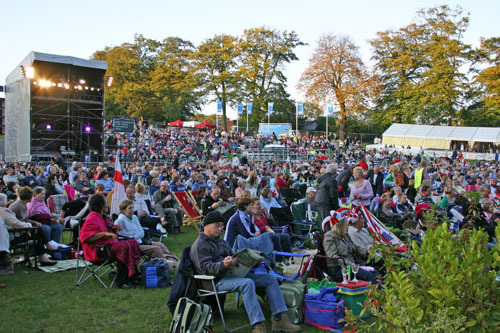 The Band played in front of 47,000 spectators and received a standing ovation after their 20 minute slot.